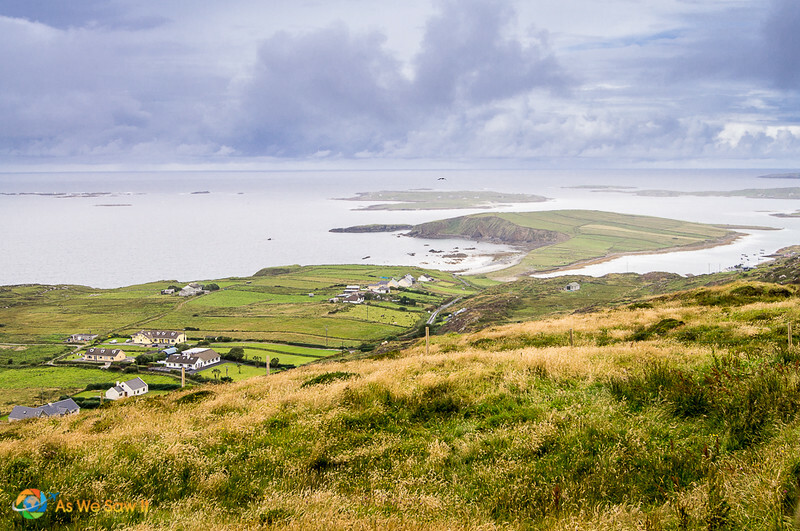 Greetings from Clifden, in Ireland's County Galway! We came here in search of my (Dan's) family roots, and I found them in a tiny village named Kingstown. I wanted to see where my great-grandmother came from and formally meet my Irish cousins. My emotions were overwhelming as I finally set foot upon the ground of our ancestors. This was truly the most exciting part of our trip around Ireland. 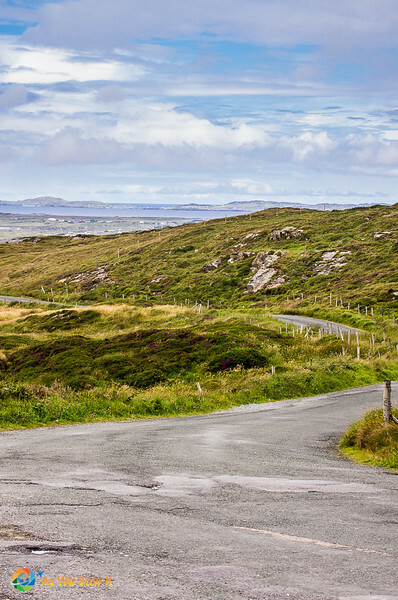 Clifden was my focus, but we didn’t rush there straight from our hotel on the Dingle Peninsula. Ireland is so beautiful that it would be a shame to rush. Most of our day was spent in a leisurely drive to see some off-the-beaten-path cliffs that would rival Moher, sans the tourist hordes. We stopped for the night in Galway, staying at a B&B in the Salthill neighborhood. Our hostess pointed out a shortcut to the waterfront promenade, which has dozens of places to eat, drink, and enjoy some traditional Irish music. Where to eat: Oslo Bar Microbrewery for the beer. Check Yelp for a list of restaurants in Salthill. 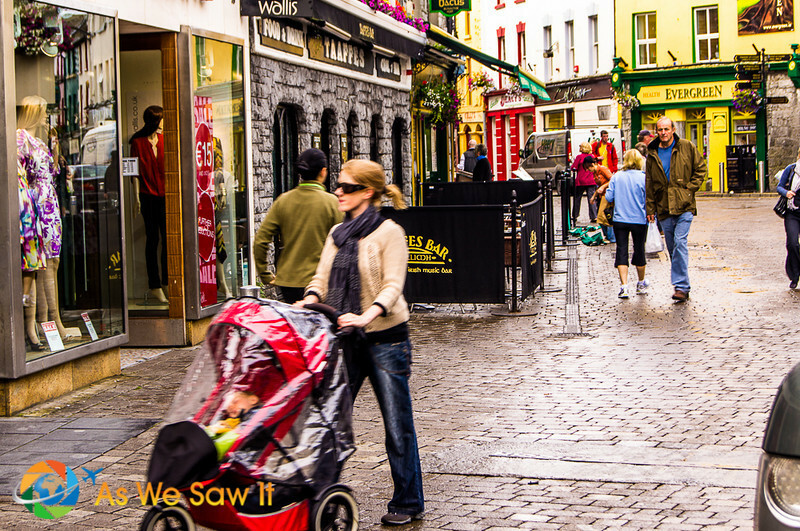 We loved Galway's vibe, with its cobbled stone streets, colorful buildings and bustling market place. It was quite cold for August, but the chilly and misty weather didn't bother us at all because of our excitement. After walking about a bit, it was finally off to Clifden to meet up with our Irish relatives. 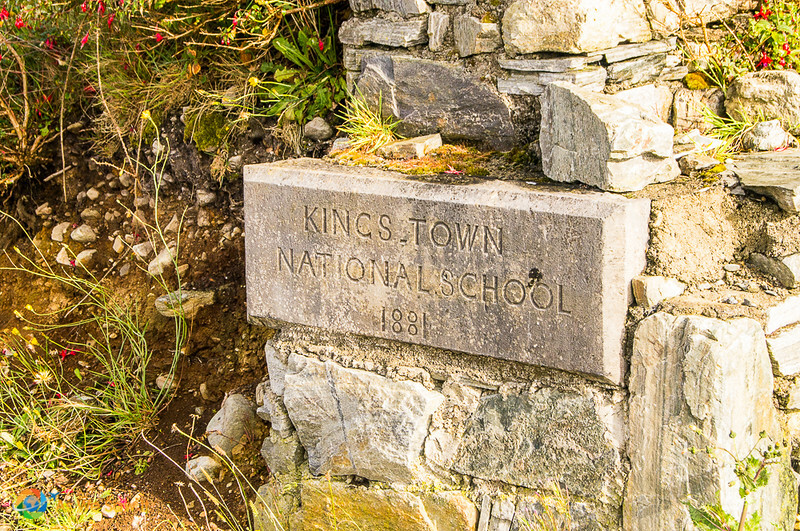 My great-grandmother was born and raised in a suburb of Clifden called Kingstown. 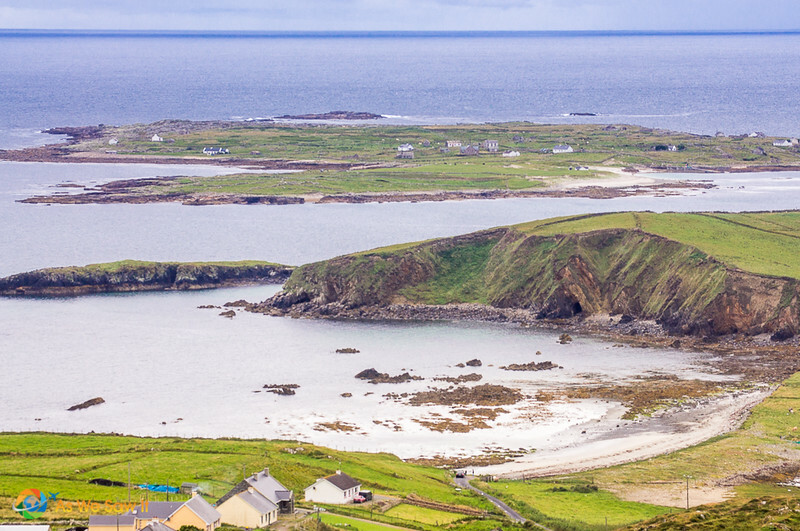 It is a very tiny village that lies even further out on the peninsula than Clifden does. Our family roots are deep in the area and as I said, we still have cousins who live there. It had sounded like they were as excited to finally meet their American cousins as we were to meet them. Even so, the first thing we did when we got into town was take a drive on the Sky Road loop. I wanted to get a sense of the area where our ancestors had lived all of their lives. The views were stunning, even though we battled the fog all the way around. We ended up in town and discovered a museum at the former Clifden railway station. 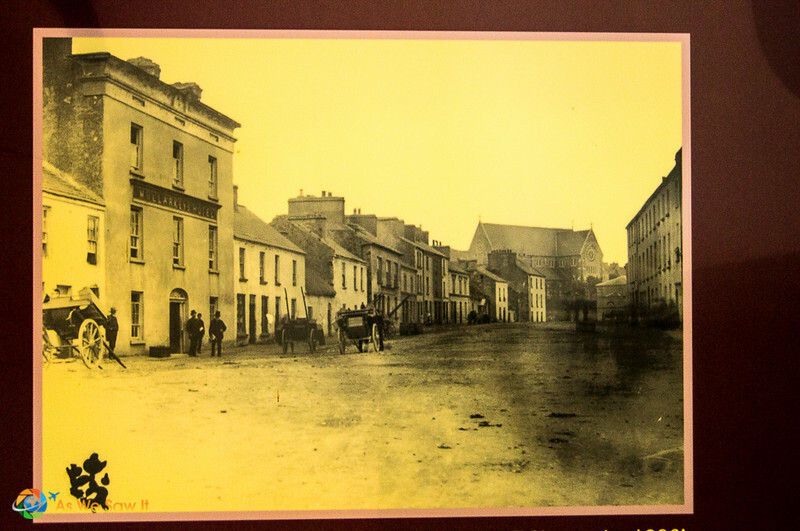 It helped us picture downtown Clifden as my great-grandmother would have known it. Nora Canavan left her family in Ireland to join her sister near Pittsburgh back in the early 1900s. She sailed aboard the SS Majestic from Queenstown (Cobh), the same port that the Titanic had left from. We were able to find a few of the sites Nora would have known, such as the school she had once attended. 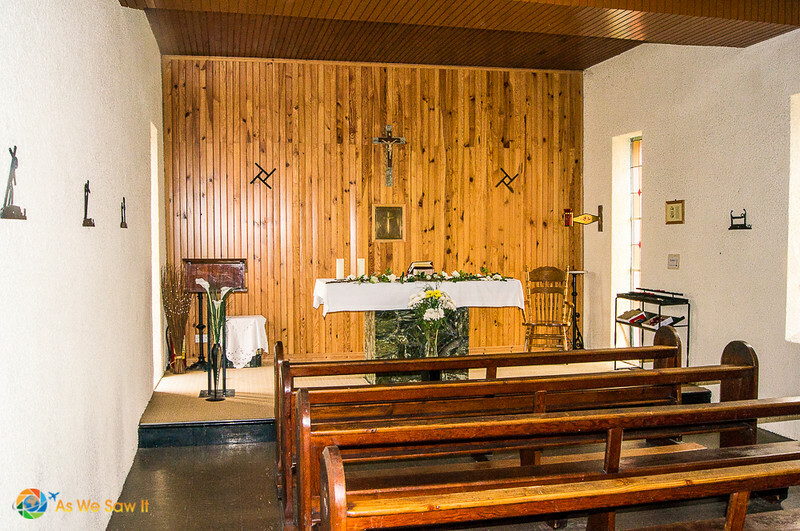 It has been repurposed and is now a small church. 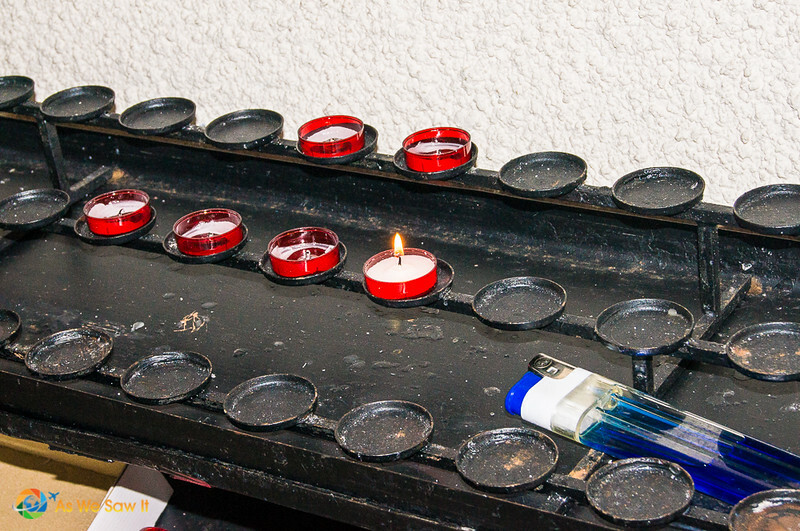 Jimmy lit a candle for his great-grandmother at Nora's old school. To me, seeing the home her father built was the most impressive sight of all. 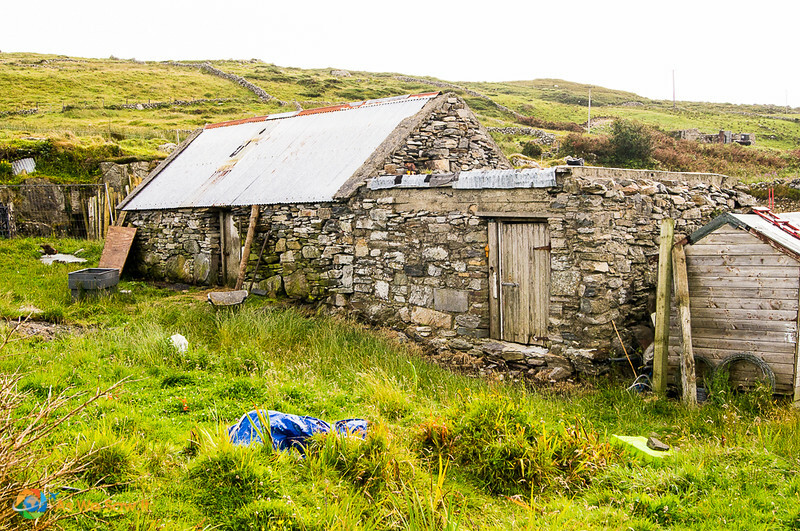 Now used as a storage building, this small stone building was once the family home. The door wasn't locked, so I walked inside. The emotions I felt while standing in this quiet place captured me as I pondered the days gone by. We have come so far, all because of one young lady's decision to seek a better life in the United States. These are our family members who still live in Ireland. It is our hope that our grandchildren will someday be able to follow in our footsteps and visit our Irish kin. 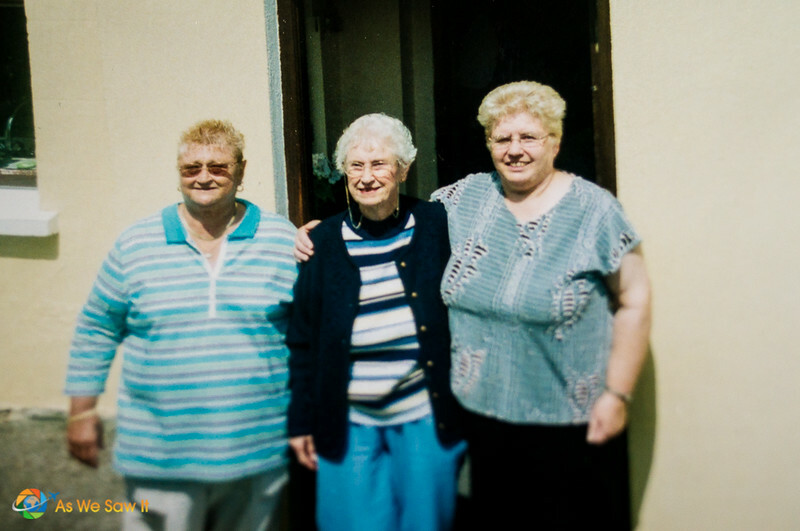 They will be welcomed with open arms, just as we were – and just as they did when my own Granny (Nora's daughter) and aunts visited a few years ago. It was such a joy to see Jimmy's eyes reflecting the true love that he had for “HIS” Ireland. He felt so much at home and so much peace there after all the nightmarish experiences he had in Iraq. They brought out the family photos and clippings. We pored through them together, finding family resemblances. I took photos of some of the things that they had, such as an old shot of the Canavan couple who built the home, so I could share it with our folks in the States. This was one of the best days ever. Goodbye from Clifden, County Galway. Having a wonderful time, wish you were here. I really like that you got to see the former school and house where your ancestors lived. I’m sure it’s quite a difference from what you call home today. It was hard enough for me to move overseas, even though I knew it was temporary, that I know it took an incredible amount of courage to make the move permanently. I am also impressed by that huge pile of carrots in the marketplace. You’re right. I can’t imagine how hard it would have been, because these days we can be on the other side of the planet in a matter of hours. As to the carrots, we’re wondering who’s eating them all? How amazing you tracked down your family and found out so much about your ancestors and their life in the village. 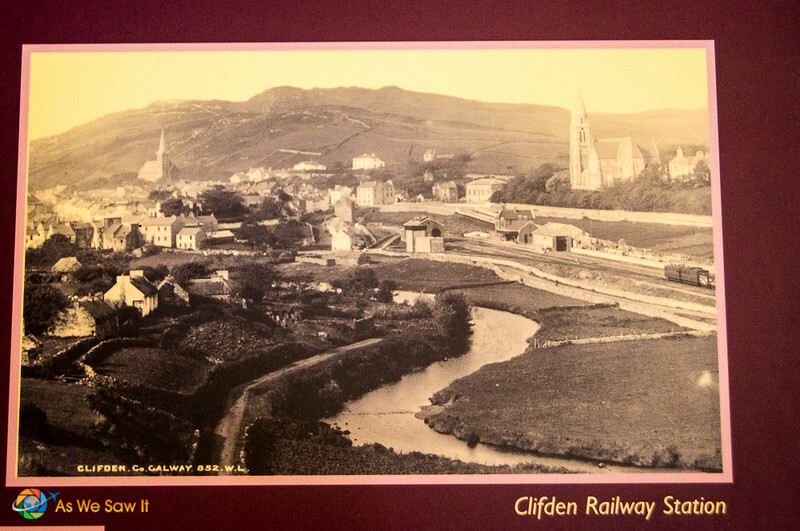 Clifden looks like a charming place to visit. We’ve always wanted to visit Galway. I’ve only ever been to Dublin! The problem with travel is that every time you see one place, you discover a dozen more you want to see. Did you enjoy Dublin? I know we did. That is so cool to see family and see where your great-grandmother came from. As cute as that cottage is, it strikes me as a hard life to raise a family. I bet she’d be proud of how far her bravery and enterprise carried her family. Around the world and back again. True, that. 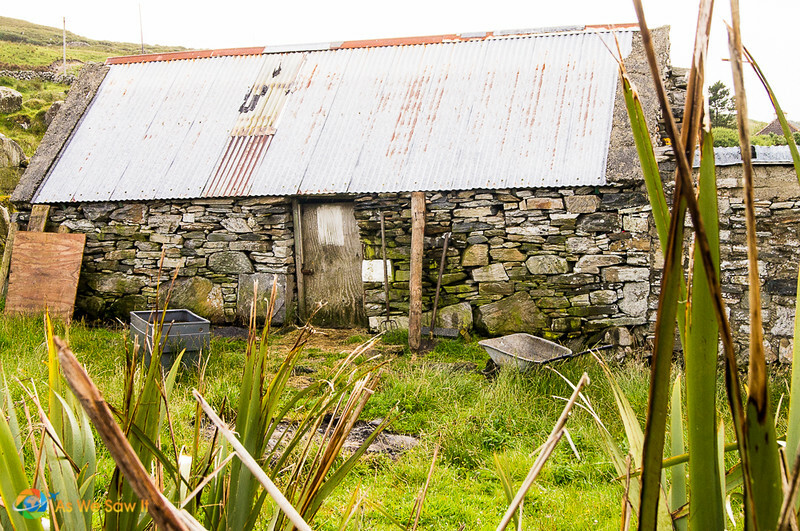 Actually Dan’s family heat their home with peat, and a bucketful only lasts two hours. When they run out they have to go out into the cold drizzle to their peat stores to fill it up again. Of course they are used to it, but we are spoiled enough to think it is a hardship. Quite a humbling and learning experience for us, I must say! What a moving story! I do not know what it is going on but this is the third story this week (I think) I read about finding family roots. All these stories increase my desire to travel to find my own roots (which are in Northern Germany). BY the way, your photos of Ireland are fantastic. 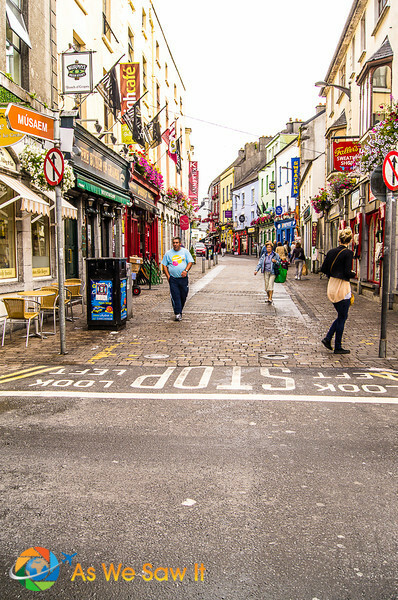 I love how colorful Galway is. Thanks for the compliment, Ruth. We sure had a good time. Of course we think you should go to Northern Germany to see where your ancestors came from. What town do they hail from? What a great adventure! I have family roots in Ireland as well, but don’t know much beyond the fact that my grandfather left County Wexford, and a clan of Murphys, behind. I don’t imagine narrowing down WHICH clan of Murphys will be easy in Ireland. On the other hand, it could be that half the country is a cousin! 🙂 Thanks for sharing your heartwarming adventure. We were in County Wexford the last time we visited Ireland. It’s in the “sunny southeast.” If you know what town your grandfather was from you probably could find some relatives just by hanging out in the pubs there. Those Irish are a chatty lot. 🙂 That, said, you probably are related to all the Murphys in Ireland, if you go far enough back, lol! I’ll think of you the next time I see a Murphy’s Irish Stout. 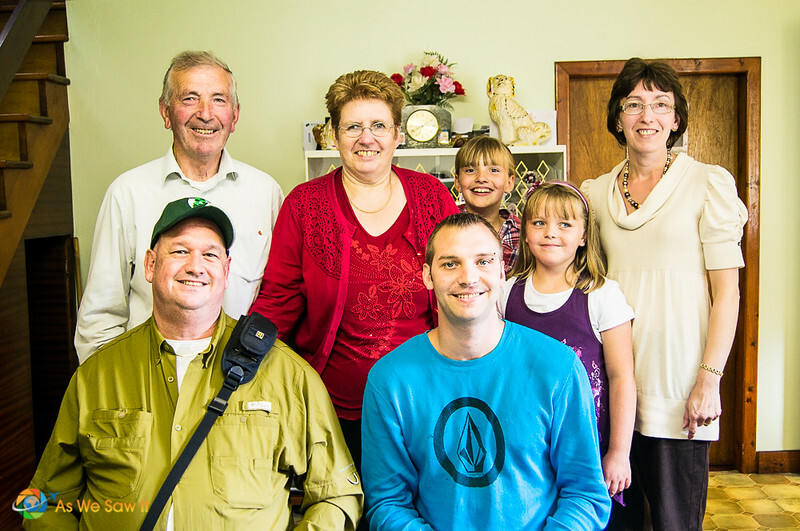 How cool to meet long lost family and discover the roots of your family – an amazing journey. Yes, meeting people you have a connection with always makes a trip special. As we grow older knowing more about our roots becomes important. My husband has been very preoccupied with his genealogy for a long time now and I always used to mock him about it. Lately though I began to see it differently. If I remember correctly, I think I told you in one my previous comments that I have a little Scottish blood in my veins. I’d like to go to Scotland sometimes and at least see where my great grand father came from. It must feel pretty good to discover your ancestors. 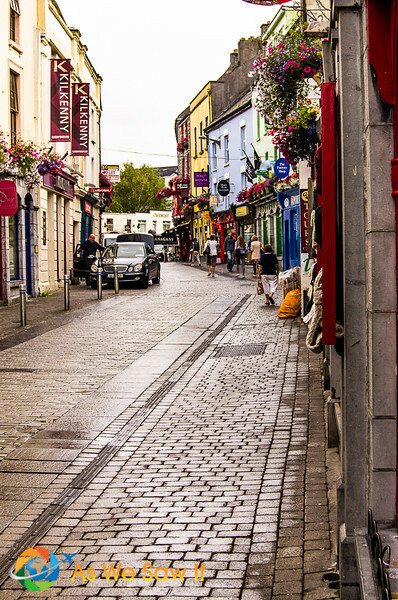 I love little towns like Galway, with cobbled streets and small boutiques. Genealogy is a common pastime for Americans … maybe because we are a nation of immigrants. We grow up among stories about such things as “before I came to America…” and “your great-grandfather was a count in the Old Country.” Seeing those places makes their lives all the more real, I think. I do hope you have a chance to see your great-grandfather’s homeland. Where in Scotland is he from? It is so exciting to visit where you family comes from! It is, and we are really glad we went. Love this post and the fact that finding your family roots came with a bonus – beautiful scenery and kind people! They are indeed quite kind people.